A lot of factors go into making an online racebook successful. Reputation is extremely important. Horseplayers want to know that they will be able to collect their winnings without a hassle. Length of time in business also contributes to a good reputation. Excellent customer service is a must. Finally, generous bonuses and rewards complete the picture of a racebook that is worthy of your betting dollar. In all these things and more, Diamond Sportsbook International gets extremely high marks from EZ Horse Betting. 2014 marks Diamond Sportsbook International’s 16th year as an operator of online gaming. Founded in 1998, DSI has withstood the test of time. Whenever we evaluate racebooks and sportsbooks for their trustworthiness, the length of time they have been in business is always a primary consideration. 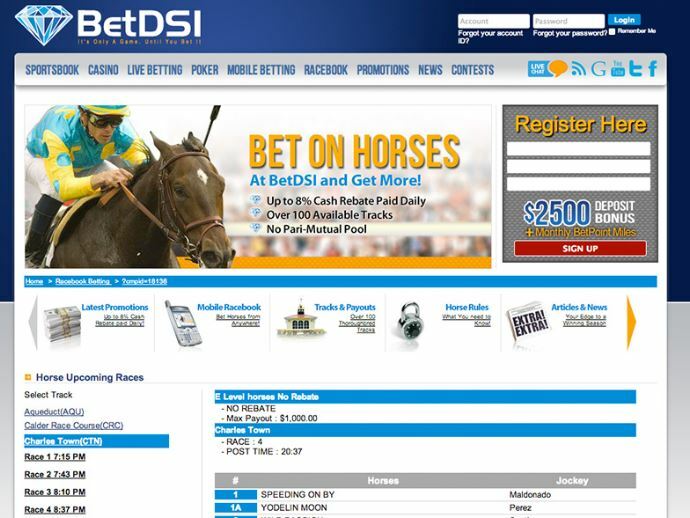 DSI is registered and licensed in Costa Rica as a provider of online wagering. It should be noted, however, that DSI has a truly global presence with registered users from 140 countries. The betting volume handled by DSI exceeds US $100 million dollars per month. Sportsbooks of this size are highly scrutinized by the various watchdogs of online betting, and DSI has consistently received some of the highest rankings from SBR, Bang the Book, and other sites that register betting site trustworthiness. Transparency is very important to DSI and they provide adequate contact information to their customers. Their dedicated racebook email is [email protected] and users from the US and Canada may also telephone toll free at 1-888-535-2895. A full complement of tracks and betting menus. DSI gives its horseplayers access to all of the major horseracing tracks in the United States and all of the major betting events of the racing year. Not only can bettors find a full menu of betting options such as win, place, show, and exotic wagers, DSI also offers future wagers and exciting proposition bets that cater to those looking for a little more excitement in their wagering. A variety of deposit methods, including Bitcoin. Account holders have many options when it comes to depositing funds at DSI. Visa, Mastercard, ecoAccount, and Bitcoin deposits are available. DSI is one of the few racebooks to integrate bitcoin into its deposit platform. Liberal withdrawal policies. Account withdrawals can be made 24/7, 365 days a year by simply using the Cashier tab on the website and selecting Withdraw or by telephoning a customer service representative at 1-877-223-8374. Please note that customers are required to file a credit card authorization form and photo ID when making a deposit before withdrawals can be processed. SSL. DSI uses SSL Secure Site technology to process all deposits and withdrawals and ensure that player data is encrypted and kept safe. Awesome bonuses and promotions. All new accounts at DSI receive a generous 50% sign-up bonus on all deposits of $50 or more. Players can also qualify for cashback on the wagers they receive, making DSI a very attractive option for the horseplayer that bets a substantial amount of money each week. Players that reload an existing account can also receive up to $2500 in free wagers. There is also a Refer-a-Friend bonus that pays players for every other person they send to DSI. The promotions and bonuses at DSI are always being upgraded so be sure to check the website for the latest deals. 8% daily cashback on all horseracing wagers. DSI has one of the best rebate structures around for horseplayers. Players earn 8% daily cashback on every dollar wagered. All of the benefits of an account at Diamond Sportsbook International make this racebook an ideal choice for the novice as well as the experienced horseplayer. Account holders will also find that DSI offers bets on every major sport from basketball and football to professional boxing and MMA. There is also casino action to help you fill those moments while you are waiting for the next race to begin. Click HERE to visit Betdsi.eu: Bet on horses easily and conveniently! LINK DISABLED – CLAIM IT. 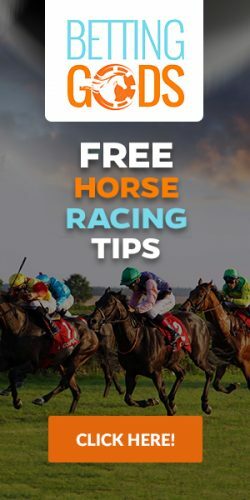 To bet on horses, click here.